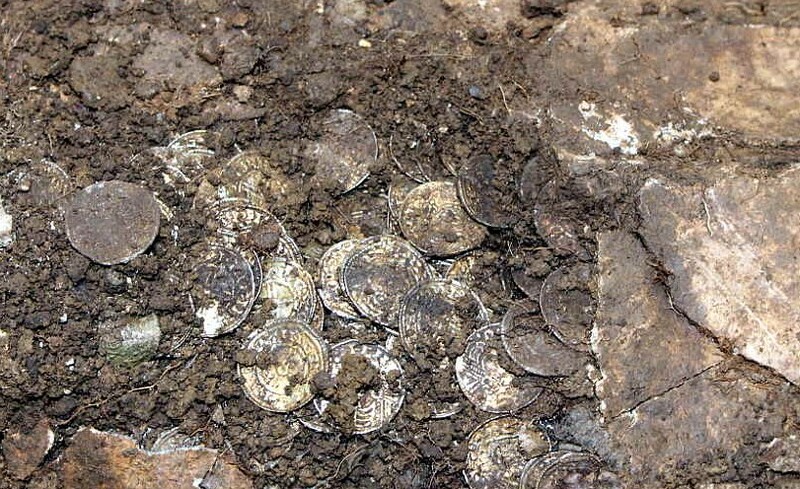 A hoard of Medieval coins worth more than £1 MILLION has been discovered buried in a bucket in a farmer’s field. Amateur treasure hunters armed with metal detectors uncovered the rare Anglo Saxon coinsnear Aylesbury, Bucks., during a Christmas dig. The stunning find is one of the most significant in Britain in recent years, say specialists. 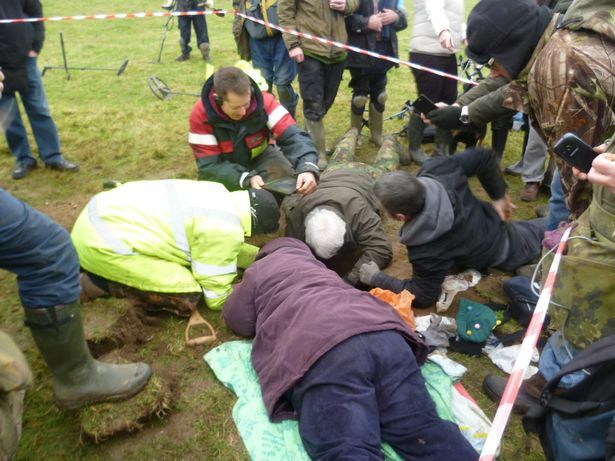 Over 100 individuals turned out to take part in the festive hunt and they were stunned to find the collection of more than 5,000 silver coins, thought to be over 1,000 years old. The perfectly preserved pieces, which feature the faces of Anglo Saxon kings, were in a lead bucket which was buried 2 feet underground. The extremely rare coins could be worth more than £1 million and Weekend Wanderers Detecting Club leader Pete Welch said the find was “very significant”. Pete, 56, said: “They are like mirrors, no scratching, and buried really carefully in a lead container, deep down. “It looks like only 2 people have handled these coins. The person who made them and the person who buried them. “Metal detecting is a bit random however most farms have a bit of history so you have a chance of finding something. “I think this was a case of you either move to the right or move to the left and on this case our member moved the right way. The discovery of a total of 5,251 coins was made amid the annual dig on December 21 on rural farmland the group had visited before. After they were discovered by archaeologist Ros Tyrrell was called to help excavate them. The coins are in “superb condition” and demonstrate the faces of some of the kings of England dating back 1,000 years. They include coins from the reigns of Ethelred the Unready (978-1016 AD) and Canute, or Cnut (1016-1035 AD). Mr Welch trusts that hoard is equal in importance to the Staffordshire Hoard of gold and garnets found by a metal detectorist in 2009. He added: “We don’t know how many variations of the coins there are and when we do we will know how significant the find is. “This would have been a huge amount of money in its day. One coin alone would have been a lot back then. A Bucks County Museum spokesman stated: “This is one of the largest hoards of Anglo Saxon coins ever found in Britain. He added that as the coins are valuable metal over 300 years old they fall within the remit of the Treasure Act. They will now be taken to the British Museum for preservation and identification before a coroner will decide whether they are legally treasure. A museum will then be able to bid for the coins with the money from the sale being split between the land owner and the individual who made the discovery.